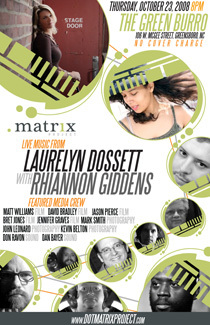 the dotmatrix project (2007 – 2010) was a volunteer run platform, designed to create high-quality media of local musicians and maximize exposure of the multi-faceted talents of our Greensboro-based arts community. All told, more than 150 regional musicians contributed to the project by performing sets of their original music in our open studio. Locals were invited to come, free of charge, and witness both their favorite artist and a rotating crew of 50+ media creators (filmmakers, sound engineers and photographers) who weaved throughout our small listening rooms to capture both the sonic and visceral spirit of each performance. A month after each show, musicians would receive access to a professionally produced live album, music video and a stack of high-res images of their performance. 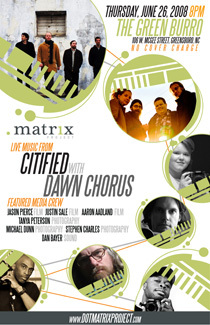 We then released the album, video and photos under a CC license, allowing for repurposing and reuse across the web and connected with our online community to share the media far and wide. We were a bit ahead of the social media curve, as we leveraged the power of metadata across numerous domains (Last.fm, Bandcamp, Vimeo and flickr) to expose our contributors to a greater audience than our live audience. 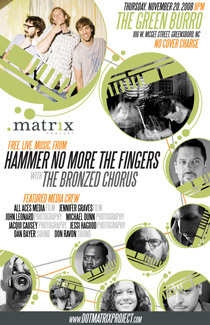 As a result, buzz grew about our shows and relationships between participating musicians and media professionals developed on separate projects. 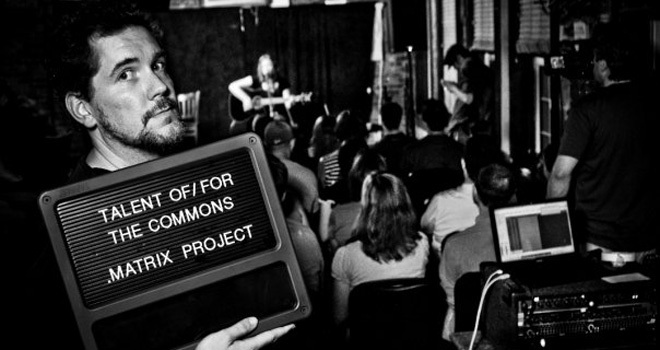 Our slice of the local music scene began to feel something more akin to an actual community.